According to IDG Enterprise, businesses around the world spent $3.5 billion on video conferencing apps in 2016. After years of waiting for video calls to take off, we’re finally living in the sci-fi future of face to face calls. This isn’t new, of course. AT&T developed the earliest form of video call in 1927 and most of us have been using Skype or similar for years. The difference now is that we have a lot of options on the market for video calling and many of them are geared specifically for video conferencing – making the video call a staple of modern business. In this article, we’re going to break down the best video conferencing tools on the market and give you the information necessary for you to pick one which suits your business. Why use video conferences in your business? The first experience I had with video calling was in 2004 with the release of the Amstrad E3 Superphone. 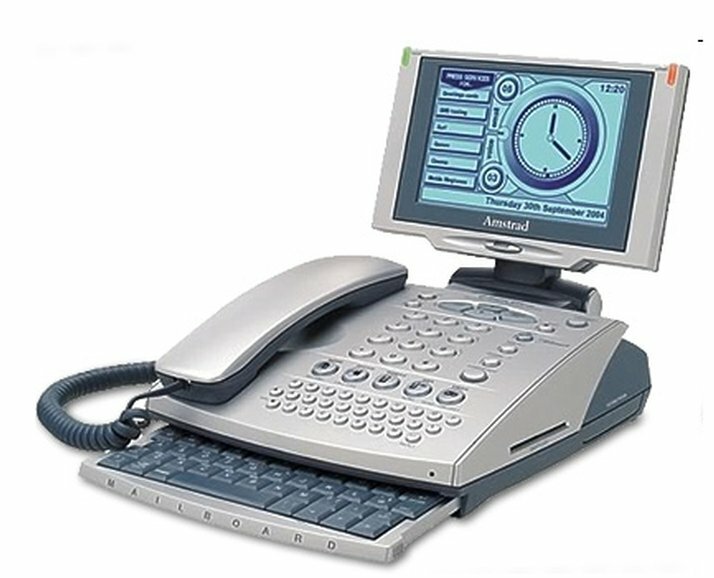 This futuristic device was a landline telephone with a low-resolution screen attached and a somewhat difficult to manage keyboard. You could use this phone to send emails, texts, make video calls, and even browse the web. Having this phone in the home felt like the first step to a brighter tomorrow. Sadly, the E3 proved to be a bit of a flop as people’s behavior shifted toward computer-first interaction with technology. Not enough people bought the product, so there were very few people you could actually video call. The product has not aged well. Despite this, modern video calling has overcome many of these problems. Bandwith nowadays is powerful enough to shoot beautiful high-quality video from one PC to another without experiencing too many problems. Laptops or tablets are very common, overcoming the fixed corded limitations of the E3 – meaning you can easily hop into a different room for your call. Everyone has access to video chats if they choose to, so there’s no barrier to entry for the vast majority of people. Plus, with your computer you’re calling from your workspace where all your information is stored, so a video call doesn’t necessarily interrupt your workflows – it can assist them. Or through features like screensharing and other specially made collaboration functionalities, video calling can help you get more done as a team. But don’t just trust my postulating. Check out the stats! 89% of remote employees say video calling helps them feel more connected to their colleagues. 76% percent of people use video collaboration to work remotely and, of those, 75% experience increased productivity and an improved work-life balance. 82% of video users are less likely to multi-task on a video call than an audio one. 89% agree that video calling reduces time to complete projects or tasks. 90% say video makes it easier to get their point across. 98% state that video calls help with relationship building both inside and outside the company. I think these stats speak for themselves. The recurring themes seem to be that video calling helps collaboration, problem-solving, engagement and productivity, and building company culture. The idea for this article didn’t just come from nowhere. The various teams within Process Street have moved from their old service to a new service for holding meetings. This change was sparked by pain points we found within the sales team. Given that most of our teams only have a few internal meetings a week, there isn’t a great need for the most amazing service. As long as it works, we’re happy. However, for the sales team, they’re having 30 meetings a day with clients who are used to using a broad range of different software. When a video conferencing service struggles with quality, ease of access, or limited functionality it makes a real impact on our client relations. You don’t want to have to walk a client through installing software just to speak with you. Equally, you want something professional with a good connection to demonstrate that you’re a company which can be trusted. This was a pain point we noticed which needed to be addressed. So, with this in mind, let’s get testing! How easy was it to get set up? Not too much difficulty here. I had to download the program to my computer in order to participate in the calls. That adds an element of friction if you’re having a one-off call with someone outside your team – or the first call with anyone who doesn’t already have Zoom, really. As a host, it’s very easy to start a meeting. You can just set up a new room. Then you shoot the link to the meeting to someone and they follow it. It’s a pretty easy process all round at that point. Maybe takes 20 seconds from clicking the link to joining the meeting while you wait for the program to start up and sort itself out. Added bonus: mobile apps on Android and iOS. Not bad. Not bad at all. I wasn’t a massive fan of the setup experience. I felt pretty confused while going through most of the process. I ended up starting a trial for the premium account as there didn’t seem to be an option for the free one. Presumably, I’ll be bumped down to the free account when the trial finishes. I’m not sure. I had to download the program in order to use the system. Though, you can see why many of these platforms want you to do that – the more complex functionalities, such as remote control over the host’s workspace, couldn’t be achieved directly through the browser (I imagine. Someone can prove me wrong). 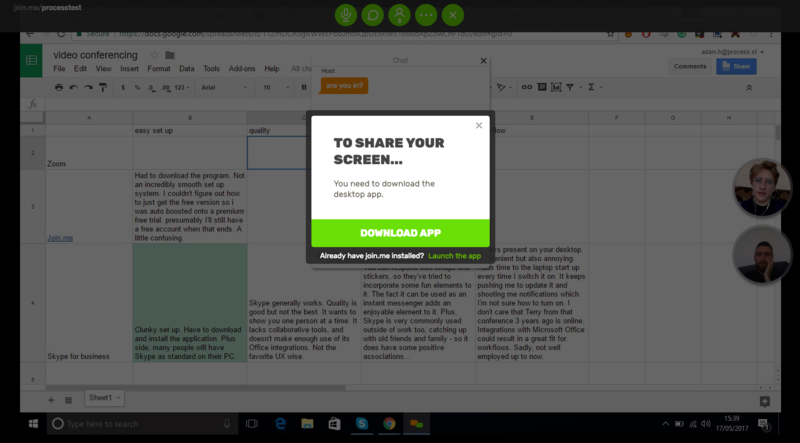 You can invite other people into meetings without them having to download the program, so that’s good. However, the meetings – or presentations, as that’s what Join.me feels more geared to – would then be one way. If you want to hand over annotation tools, remote access, and other advanced features then you need to download the software. You can create a room with a custom name – which I like. Then anyone who follows that link can jump into your room. This is a system used by a few others on here, and I like it. The UI/UX left me a little confused at first but I think I got the hang of it as it went on. Neither I nor Ben were particularly sure where everything was initially. Not hugely intuitive. Also has mobile apps, though I’m under the impression that the iOS version is limited by geography, so I hope you’re lucky enough to be in the right country. Skype has a slight advantage for setting up as most people already have it installed. That has to count in its favor. For those who don’t have it installed, it’s a not the worst process in the world but it is a bit of a pain. More friction than some of the other options: Zoom, Appear.in, and Google Hangouts. Once you have Skype it is pretty simple. Your Skype ID is like a phone number and you just call someone’s Skype ID. Not too complicated. However, you have to connect with each of these people on Skype like it’s a social network. My Skype contact list is filled with people I spoke to once because of that thing at that place, you know? People who I am likely never to contact again. For group calls, this does add an extra step of gathering everyone’s information and connecting on Skype and then adding them into the call individually. Urgh. Nonetheless, the mobile apps are good. So that’s a redeeming feature. I ended up downloading the program twice. For a moment, I was even a little worried I was downloading some kind of virus, given the strange filename and forceful process. Ben had the same experience. I was still fairly confused at the point when we gave up on GoToMeeting, but I was particularly confused at the beginning. Whole thing was a mess. I once started a radio station a decade ago called Curl where we asked a local school if they could donate us some PCs. Our radio station was running from Winamp on Windows 2000. Starting up GoToMeeting gave me flashbacks of that little room filled with wires and its appalling lack of adherence to fire safety regulations. Not great for me to set up, but Ben was able to access the meeting from within the browser – which had a significantly better UI/UX. However, if I wanted to transfer hosting duties to Ben so he could show me his screen and use the advanced features then he had to download it too. Not too big a deal I suppose. Until GoToMeeting dropped him from the call as part of its built-in user journey for people upgrading. Let’s be clear: Appear.in smashes it out of the park in terms of ease of access and use. That’s partly because it’s a slightly more limited product; it isn’t designed to give you every feature under the sun. It is a lightweight video chat tool for speed and simplicity. I didn’t even have to make an account to start a video call. I only had to make an account when I wanted to lock access to the video call, while we were testing that feature. Boom. You’re both on a video call. And that’s without anyone having an account or a Slack integration to launch it from or any of that. Appear.in makes it super easy. Appear.in works in mobile browsers and through their mobile apps – the iOS one appears to have come out in the last 2 months. Same simple style. You’re probably familiar with Hangouts, much like you’re familiar with Skype. There’s a good chance you already have a Google account which already means you can host meetings through Hangouts. Even pals of yours without Google accounts can join in the video chats with almost all the functionalities still present – bar text chat, for some reason. Hangouts feels to me like the video call solution for the avid emailer. Everything is negotiated through the emails and your contacts list through email becomes your contacts for Hangouts. There are a lot of Skype parallels in ways if you choose to see them. One of the most insignificant problems with Hangouts is you’ll have to check your Google account has it enabled. In the past, I had been part of organizations using Google Apps for Work – now G-Suite – where no one could use Hangouts because the admin hadn’t enabled it, or something like that. Strange. Nonetheless, that’s one of the few criticisms I can find. Other than having to have a Google account to host a meeting, it’s all pretty straightforward. Mobile apps to make it simpler too. Does it feel professional and high quality? As difficult as it is to compare quality between the different platforms without getting all technical, Zoom feels like it has a high level of quality. The audio quality, in particular, stands out with Zoom as being crisp and clear. The UI for Zoom is sharp, smooth, and professional. There would be nothing embarrassing or awkward about introducing a client to the software. To be fair to Join.me, we should respect what their core service is. Their core service is to allow collaboration in meetings via video. As such, you’ll find that the screensharing quality in Join.me is comfortably ahead of the pack. They’ve really primed their service to deliver on this feature. It’s necessary for their screensharing to be strong, given that their emphasis would be on working on a single screen from across a distributed team. The UI is professional and looks fine, but it doesn’t feel very corporate. Not that I like things which appear corporate, but you might. It might be important to you. You might not want a video calling software which shows your disembodied head floating around in a bubble for the duration of the call. I don’t know. It’s a tricky one with Skype. 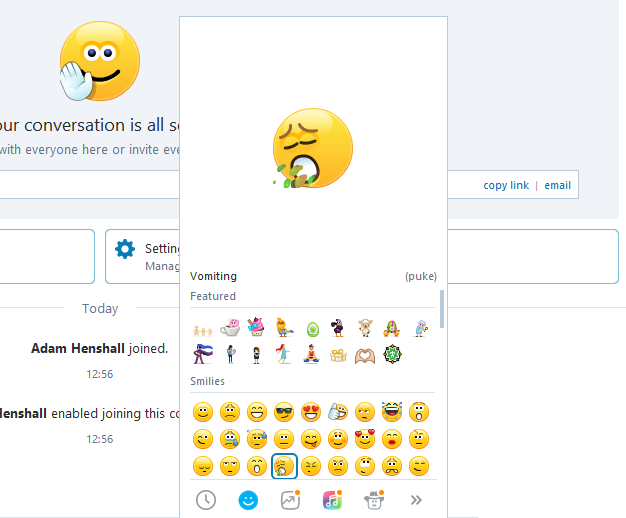 Some people don’t think Skype is cool enough and associate it with more professional interactions, whereas others feel it lacks the corporate edge and its bubbly design motifs give it an air of inoffensive family friendly fun. Still, I think Skype is generally considered professional enough. We used to use Skype at Process Street for our calls. We’re a remote based team so this article hits pretty close to home for us. We switched away from Skype partly due to the slightly lower quality when compared to Zoom and others. Moreover, Skype seems to push its users into using its chat features when all we wanted was the video call. I’ve been a little mean to GoToMeeting so far. It’s a comprehensive piece of kit which seemingly holds substantial market share. As an invitee to a call, the UX isn’t particularly off-putting and the UI is actually quite professional. It has the drab grays you expect from a stuffy office. 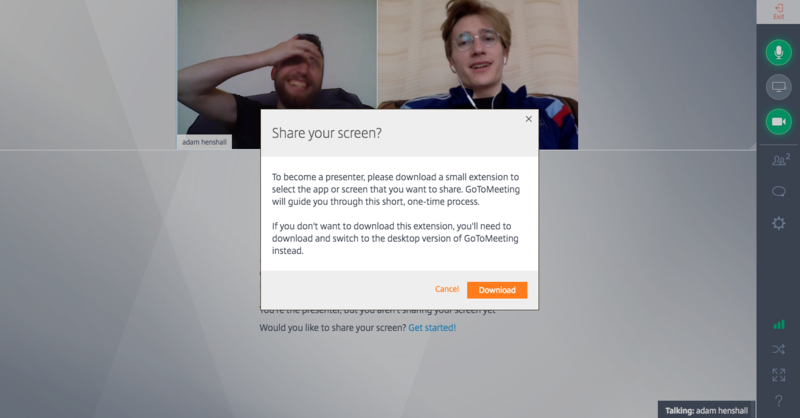 As long as your guest in the call doesn’t require access to the advanced features, needing only to access the call via browser, then GoToMeeting does have a corporate feel. It is professional and it won’t damage your image. The call quality wasn’t anything to shout home about, though. The image was not as sharp as it could be and I didn’t have a revelation when hearing the audio quality. Considering the platform was taking up a good bit of bandwidth, I expected more. First, quality. Nothing wrong here. Audio was good, video was good, display of guests on the screen was good, chat worked well. Pretty fine all round. In as far as professionalism goes, there isn’t anything unprofessional about the UX but there are some “fun” features which you can play with that don’t feel like work appropriate elements. I can imagine giving a presentation to a client when you accidentally add a Snapchat-esque giraffe sticker/filter over your face. I’m nitpicking here, really. Other than not being equipped to handle meetings larger than 12 people, there really aren’t too many criticisms I can throw at Appear.in on this front. Hangouts doesn’t provide anything too radical. There isn’t a funky UX which could be offputting and everyone’s pretty familiar with who Google are. All in all, you’re in pretty safe hands with Hangouts. Often, if you’re communicating with someone from outside your team it is likely you’re doing so by email. In which case, Hangouts fits nicely into that for you and the client meaning you’re not sending them on errands across different websites in order to speak with you. The quality of Google Hangouts can sometimes come under question but it offers no worse a service than Skype, in my mind. Sometimes, I even prefer Hangouts. You’re not going to wow your clients but it will do the job. How does it fit into my workflow? Zoom uses the room system, which a number of the other platforms have as well. This system means you create one URL which represents a meeting room. Whenever you visit that URL you are placed within the meeting. It’s a simple structure, but one I find effective; particularly for team meetings. It’s a consistent workflow which can be relied upon. 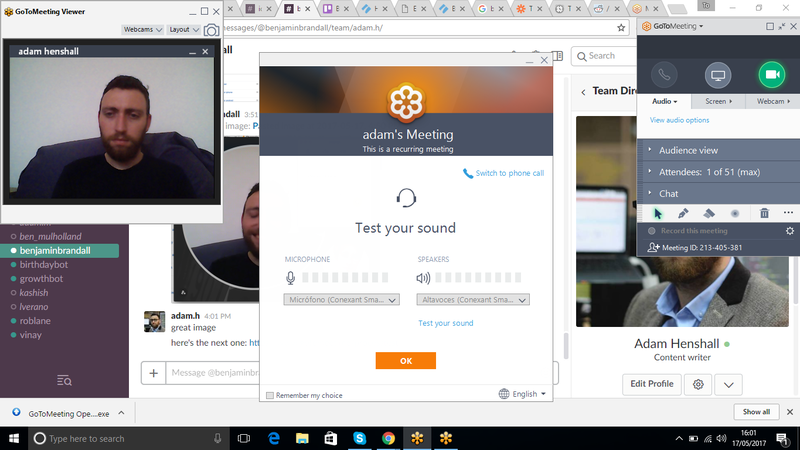 The Zoom meeting system has a slight downside compared to the others in that the URL string is just a series of numbers. Whereas some of the others have the ability to set custom URLs in their free versions. However, Zoom has Zapier automations you can use to integrate it within your workflows – which is a massive plus. 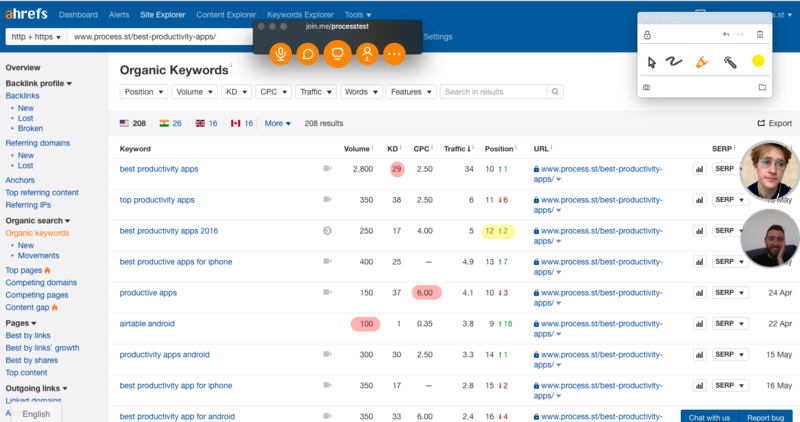 Even more than that, with the premium package you can hook up to their REST API and really make Zoom work for you. In my eyes, this makes Zoom an excellent candidate for a corporate choice. Their super duper package would fit into people’s daily workflows and a large company’s overall processes. If you consider Join.me to be a collaborative working tool rather than a meeting tool, then it will score higher in this section. 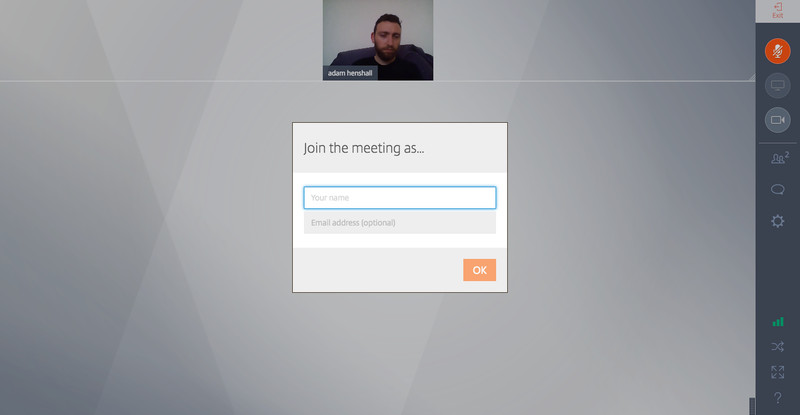 It can help teams have meetings remotely while all working from one screen. If every member has the premium version then you could jump from screen to screen with everyone able to focus on one at a time and work within the others’ computers. In that sense, Join.me is very good for workflows. It also has the option of using Zapier integrations, though it appears to only have one premade one up to this point. No reason why you can’t construct your own and test its potential, though. I’m going to be mean with the score as I’m judging this on which tool is set up well for video conferencing, and I feel the collaborative successes represent a specific use case within a broader category. I don’t generally find Join.me a great tool to connect you with colleagues on a normal basis. 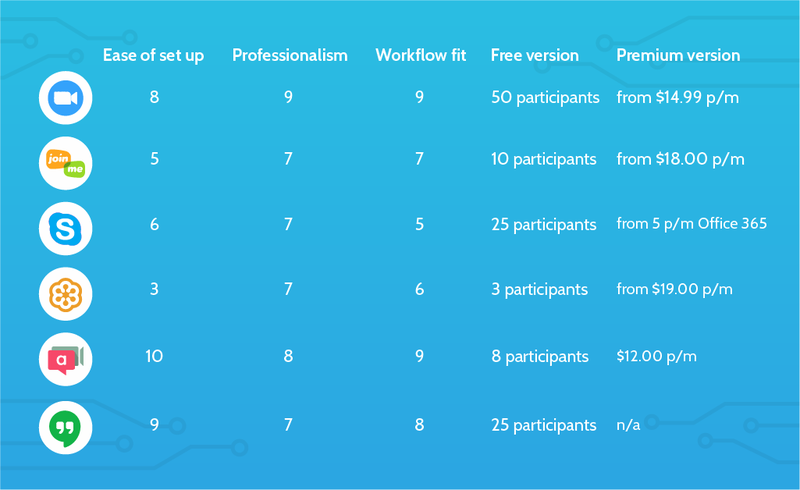 I suppose Skype’s advantage in regards to workflows is that nearly everyone has it already. But that doesn’t really overcome the fact that its competition in this showdown mainly require one-click links to open a meeting in a browser. Skype doesn’t do Zapier. Even Microsoft’s own Zapier competitor doesn’t have any automations set up with Skype. This should be one of Skype’s ultimate wins. They should be beautifully integrated with the whole Microsoft Office 365 UltraPremium Gold Version or whatever. But they’re not. I know this is harsh, but I’m marking Skype low on this measure. They could be so much better. They should be so much better. It’s worth mentioning that they do have a developer area where you can play with their API. I’m just struggling to get excited by that at this point. I know I’ve ragged on GoToMeeting a lot in this article. I don’t like slagging off other people’s products. However, remember that this is a big established product from a massive established company. Citrix, the company who own and run the whole GoTo brand, are allegedly worth $13.3 billion. Yep, billion. So, I’m not too arsed calling them out on their failings. However, when it comes to workflows, I’m going to give them a bit of an easier ride. They have some premade Zapier integrations designed to hook up with calendar software. Not very inventive, but pretty standard. They are also not too bad for a client who is invited into a meeting as it is a one click procedure and the in-browser UX/UI isn’t awful. As you’ve probably guessed, I’m a big fan of what they’re doing over at Appear.in. I like their approach to simplicity and the fact they want to keep it integrated with your workflows. They don’t seem to have a Zapier integration set up just yet. However, I’ll let them off. They have built native integrations into Slack, Trello, Hipchat, and more. Their premium service is still in beta and they’re a young up-and-coming startup. The fact they’ve pushed in the direction of creating integrations with tools which play a vital part in modern workflows, shows they’re heading in the right direction. Plus, the ease of use and one-click simplicity is a joy. A delight, even. Appear.in may not be the finished deal just yet but for a quick meeting, or one with a small team, it is sublime. A really streamlined means of video calling. Not every tool should be assessed on the basis of its ability to pander to my specific needs. If your daily workflow consists of working from your inbox – particularly if you’re on G-Suite – then Google Hangouts is probably ideal for you. It just is. And that’s presumably one of the reasons it’s so successful. That and being a Google product. As far as automations go, there is an upcoming Zap for Google Hangouts Chat. It’s not yet clear what this integration will achieve, but I’m expecting something interesting. Probably an attempt to replicate some of the basic text command features of Slack. So, Google Hangouts is great for the workflows of specific people and is probably going to be expanding its workflow integrations very soon. Without bells and whistles, it quietly does its job very well. What kind of pricing are we talking? We’re conveniently starting with the option most suited for those who want an affordable solution. Zoom offer the largest free package out of the options available. With Zoom, you can have unlimited 1-to-1 calls and you can host meetings with up to 50 participants for a maximum of 40 minutes. A participant is counted as an invitee, without the ability to host their own meetings. There’s a high chance that you won’t need meetings with more than 50 unless you’re offering webinars. Zoom is probably the best option price-wise for teams from small to medium sizes. 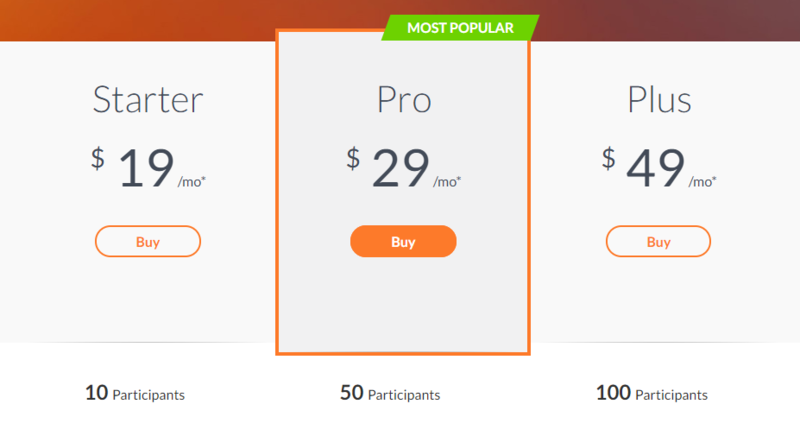 There are three tiers of premium pricing for Zoom. They’re priced on the basis of how many hosts you want to have. The Pro package is $14.99 per host per month with no minimum setting for hosts. This gives you admin control and user management along with cloud reporting space and access to their REST API. The next plan up is the business option at $19.99 per host per month with a minimum of 10 hosts – so you’ll be paying somewhere close to $200 per month. The enterprise package is priced the same but with a minimum of 100 hosts. These packages give you greater support, custom branding, webinar functionalities, unlimited cloud storage and a whole range of added features. 50 users for free. Premium from $14.99 per month. If you’re looking for the free plan, you can get up to 10 people on a meeting without spending a penny. The premium plans come in Pro and Business packages respectively. The Pro package is priced at $18 a month and provides up to 50 participants, 10 video feeds, and unlimited audio calls. It will also give you a selection of customization features to tune the calls to your liking. The Business package comes in at $30 a month and gives you up to 250 participants. This package throws in extra user and feature management. 10 users for free. Premium from $18 per month. Normal Skype, as you probably all know, comes for free. However, if you want to upgrade to Skype for Business you’ll have to start paying Microsoft a little money here and there. The free Skype gives you a 25 person limit on your calls. Along with this, Skype is a handy instant messaging service and is shifting further and further toward the Slack area of the market. They want to be a base for team communication, so expect to get more features like this for free within the Skype package. Skype for Business gives you an upgrade on the free package with up to 250 participants. This comes as part of one of the Office 365 suites – either the Business Essentials suite, priced at $5 per month, or the Business Premium suite priced at $12.50 per month. The Essentials package includes the basic online Microsoft services, which the Premium includes the entire Office suite. The advantage of Skype for Business from a pricing perspective is that you’re possibly already paying for it. If you have Office 365 for your business then you’re already signed up to this premium video calling service. In some sense, this makes Skype for Business free! If you’re a G-Suite or Libre Office user, you may opt for a different video conferencing tool, but for existing Microsoft customers this service is already at your fingertips. 25 users for free. Premium plans start from $5 per month as part of larger Microsoft packages. GoToMeeting is a little sneaky when it comes to their pricing. If you go to their website you won’t see any mention of a free version. But there is a free version. If you visit the subdomain free.gotomeeting.com then you’ll find out how to access their free version. This version supports up to 3 people and it runs from your Chrome browser. It’s a very basic offer and the least comprehensive free version in this article. If you’re in a very small team, this is completely fine. But if you’re in a team of more than three, you’ll have to upgrade to the real product. 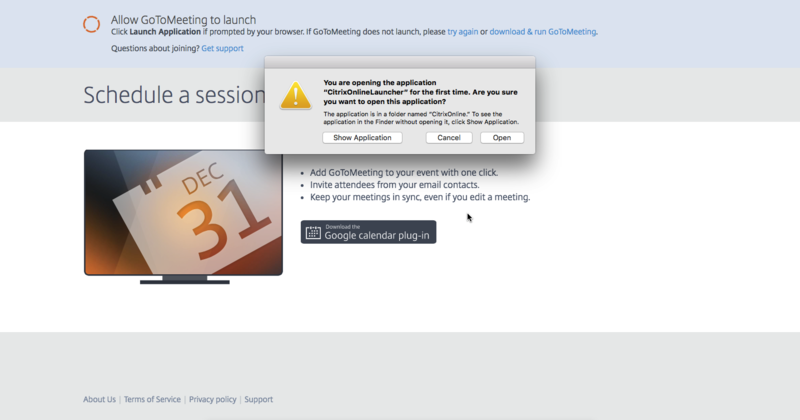 Fortunately, you can get a 2 week free trial of the proper GoToMeeting software. You’ll there are three different pricing plans available: Starter, Pro, and Plus. Starter begins at $19 per month and gives you the basic features you would expect, including conference dial in. However, this package tops out at 10 users. If you have a slightly bigger team you may be better suited to the Pro version which comes in at $29 per month. This gives you the ability to record meetings and to access the service via its mobile applications. 3 users for free. Premium plans start from $19 per month. The lightweight Appear.in offers a nice little free service and doesn’t charge over the odds for its premium. The free service gives you up to 8 people in your room while the premium, which is still in beta, gives you 12. The premium version also allows you to customize your room – add your logo and such – and share your screen in a way which makes it easy to present things to others. This lightweight service also has the integrations mentioned earlier to consider, with the ability to hook it up to Slack and Trello. Appear.in is targeted very much at startups and its pricing reflects that. The premium version is priced at $12 a month. One thing to consider with Appear.in is that its service will likely expand and add more features as time goes by. This premium option is still in beta, after all. 8 users for free. Premium plans start from $12. There is no pricing for Google Hangouts. Simple as that, really. You get up to 25 participants for each call and unlimited calls within those parameters. Google used to offer Hangouts on Air as a kind of webinar service, however, that has been largely merged into the Youtube Live feature. If you’re already a user of the G-Suite package, then Hangouts is hooked up to your address book and embedded in your emails. Hangouts is free whether you’re paying for Google’s office services or not. Which did my colleagues prefer? Since video calling isn’t something you just do with your friends or your colleagues, we thought it’d be best to look at the usability of these tools from the perspective of a client, prospect, or job candidate. Interactions of these kinds are often first impressions, or higher-pressure situations where less should go wrong. With that in mind, the most friction-free option was Appear.in, which let me enter instantly and start chatting. We’ll make this really quick. Google Hangouts used to promote their Hangouts on Air service for webinars. However, as I mentioned, it’s now pushing people towards running webinars through Youtube Live. If you wanted to head in this direction, then you could also add in Facebook Live and do a cross platform live streaming webinar with the potential of gaining some social reach. If you’re just looking to have a quick video call with someone, you can simply video chat with them through Facetime or Facebook. There are other similar socially oriented services available too. You have plenty of options. 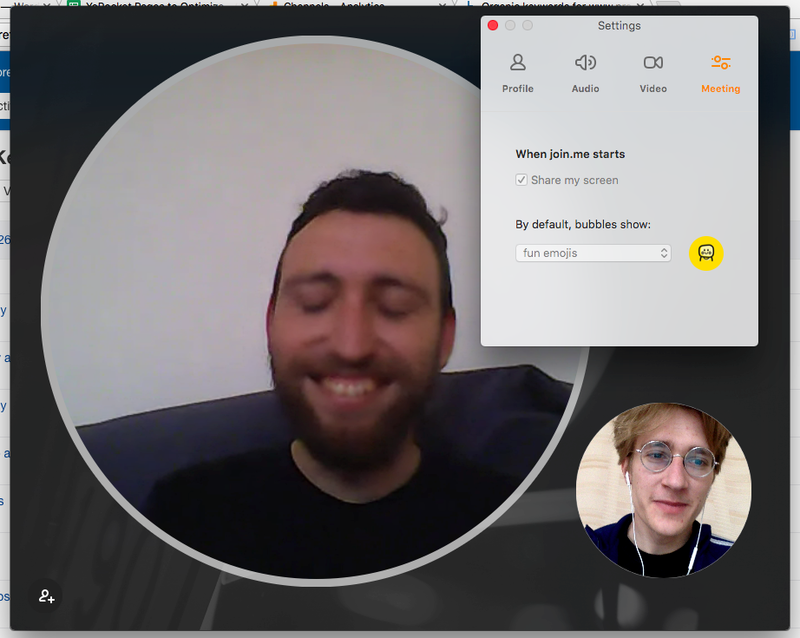 There’s also Gruveo for one to one video calls in your browser. They have a premium package for $12 a month, but it seemed a little too limited to warrant inclusion in this main list. There’s also Bluejeans which offers video conferencing services but lacks a free version. Give it a look if you’re a large organization. Rabbit allows you to show videos to groups – all free with a 25 user limit. Lastly, you have Pexip. This one is focused on allowing you to give video presentations across different video conferencing software. This is not SaaS – you buy it and you host it. Contact them for prices if you have a healthy budget. My video conferencing app recommendations! They’re all good video conferencing services, Brent. 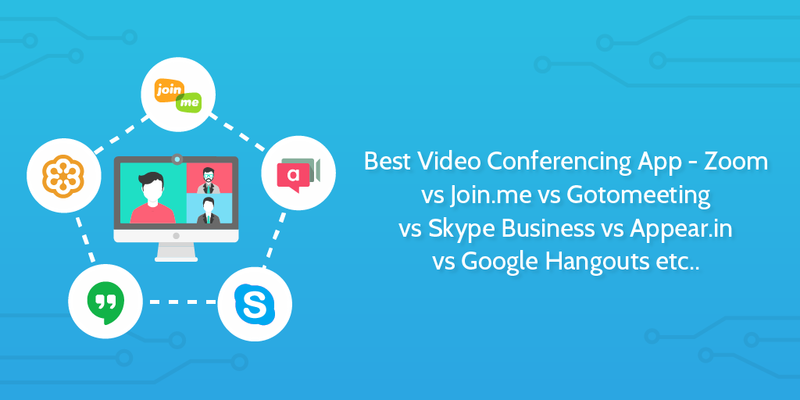 Which video conferencing software is best for you will depend on your use case. Maybe you’re looking for only one solution to cover all your needs, or maybe you’re happy to employ a number of different solutions. If you’re an existing Office 365 user, then internal meetings could very easily be done via Skype. The problem with Skype, as shown above, is that it forces people to download Skype and have it always running on their computer. Most people have Skype already, but if you want to have a video call with a client who doesn’t have Skype, you don’t want to force them into downloading it. Some of the above points are true for Google Hangouts too. If it fits your workflow nicely then there’s no harm in sticking with it. The tool which jumps out to me as a lightweight and very easy way to have a video call for free with a client would be Appear.in. Simply send your client a link and they can click it and join the call. Easy for them and easy for you. As the call happens in your browser, you can just use a Chrome extension like Nimbus to record the browser for free. Appear.in is my personal favorite tool on the market. However, all this considered, the tool which stands out to me as being as good as any other but with the largest selection of free features, is Zoom. Zoom provides a full service of video conferencing for up to 50 people for free. The quality is high and it’s easy to use. It has on screen annotation functionalities and a myriad of in-depth features which the lightweight Appear.in doesn’t have. Guess which option we use across all our teams at Process Street? Yep. Zoom. All day, son. All day. What have your experiences been with video conferencing software? Which ones do you use, and which do you avoid? What have I missed out? Let me know in the comments! Yep. Agree with your zoom conclusion. I just switched away from join.me due to the confusion it caused when trying to connect with clients. Zoom has a much easier to use interface it seems. My clients have less problem understanding how to use it and the performance is excellent. Great to see that my conclusions line up with your in-the-field experiences. I feel like the level of frictionless connection is such an important factor to consider for anyone doing client side work. Thanks, Henk. I can’t live without a video conf! All my work relies on that! Using mostly Skype I’ve tried some other apps. Thank you for this useful review! Glad you enjoyed it, Bailey! Would you have any other tools you’d recommend I tested? I have been using a couple of WebRTC products, some of which are presented on this review. WebRTC is a free, open project that provides browsers and mobile applications with Real-Time Communications (RTC) capabilities via simple APIs (https://webrtc.org/). The WebRTC components have been optimized to best serve this purpose. The WebRTC initiative is a project supported by Google, Mozilla and Opera, amongst others. 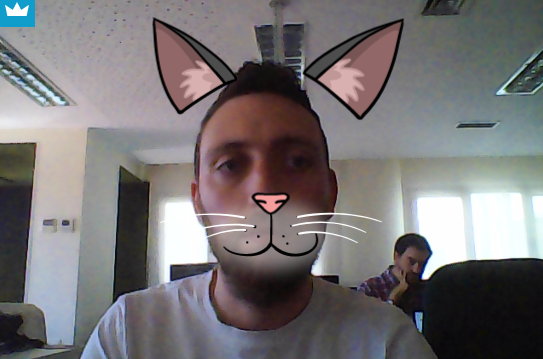 Appear.in is a wonderful implementation of WebRTC. However, my personal favorite, which I highly recommend is Talky.io (https://talky.io/). Creating a “room” can be as simple as typing on the address bar talky.io/anyname (*anyname = any room name you may desire). Hit the enter button and there you have your own “room”. Hi John! Thanks for the recommendation. I’ll definitely check out Talky. I feel I’m much more pulled to that kind of obstacle-free set up. As great as some of the more complex tools are for teams who want to make use of the advanced features, often my needs are met with the simplicity of Appear.in and similar. Great article! Just a point to be considered: Skype creates a link when you create a new room. So you can just share this link with your clients and they will join the conference. This way you don’t need to add them as contacts and they can open even by web if they don’t have the app installed. Hey Douglas. You’re completely right. 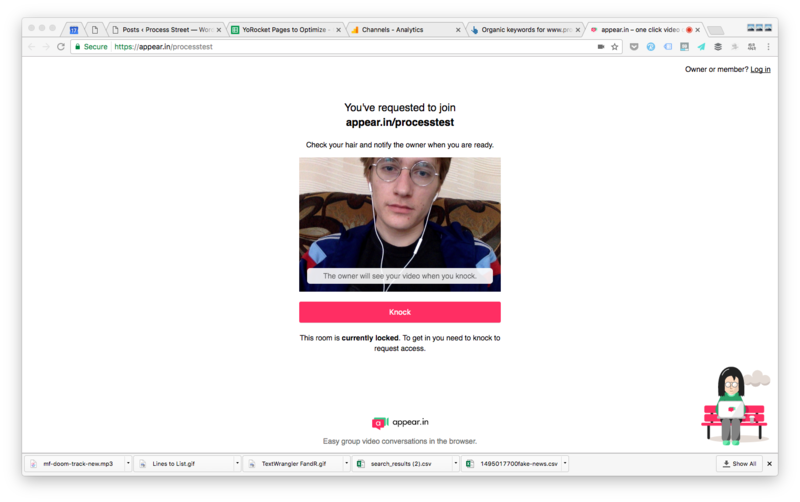 Though, I ended up trying this with a friend and it ended up opening a slightly different form of Skype from my own computer via the browser while my original Skype app was still already open. It then told me it couldn’t connect to the call as I wasn’t logged in – even though I was logged in on my normal desktop app. It was a strange experience. Definitely good to see that they’re heading in that direction with it, though maybe they should improve the user journey. Or that could just be me?! Does the quicklink normally work fine for you? Oh! That’s weird! I use skype with a global team to record podcasts about iOS Development and I use these kind of links generated by skype to invite participants to join the episode recording process and it works fine! Maybe some issues with new versions? I recorded an episode last weekend this way and it worked. Probably still a work in progress for Microsoft. But I agree with you: They’re moving to the right solution! You can also add R-HUB HD video conferencing app in the above list. It works on Windows, MAC, Android, iOS etc. and allows one to conduct video conference with 30 people at a time. I do love Zoom. But remember that it is only free if you are one-on-one. If you have more than 2 on a video call and want the call to last more than 40 minutes, you have to upgrade. This may have been true in the past, but Zoom now allows up to 100 participants for users of their basic (free) account. Great article Adam, I think you captured the pain points I have experienced, I used to use GoToMeeting but have recently moved to Yack.net I find it easy to use and love the fact that all calls and videos are automatically transcribed, this been great for my clients. When you get a chance it would be great i you could review them and let us know your thoughts. Thanks for the recommendation. I’ll have to check Yack out. Automatic transcription is definitely a plus point in my book! Read through your recommendations and had our staff sign up for Zoom because we also need screen sharing. Once signed up, we’re told there is a 40 minute limit! Frustrating. Thanks Ariel, I’ll make sure to check it out! Hi Adam, thank you for this great comparison! I appreciate. Cipriano Almada from Cape Verde Islands. Really interesting piece. We’ve recently rolled out Skype for Business for internal voice conference calls – We’re Office 365 so it’s free and we just needed to issue headsets for PC users and there are now voice conference calls popping up all over the place and they’re really really useful. No one seems that keen on Video internally and that suits me – most staff have desktop PCs without cameras. Conference calls with other companies is more interesting. I try to persuade them to use Skype but we end up doing voice conference calls or watching product demos over their choice of software not ours.. Including GoToMeeting which I agree is awful! I read your article looking for something for a new project. We want to have either voice conference calls or IM chats (and less likely video calls) between senior staff in the office and our truck drivers and other staff not on our corporate network. So we want something that’s REALLY easy for them to setup, ideally something they most likely have like WhatsApp. 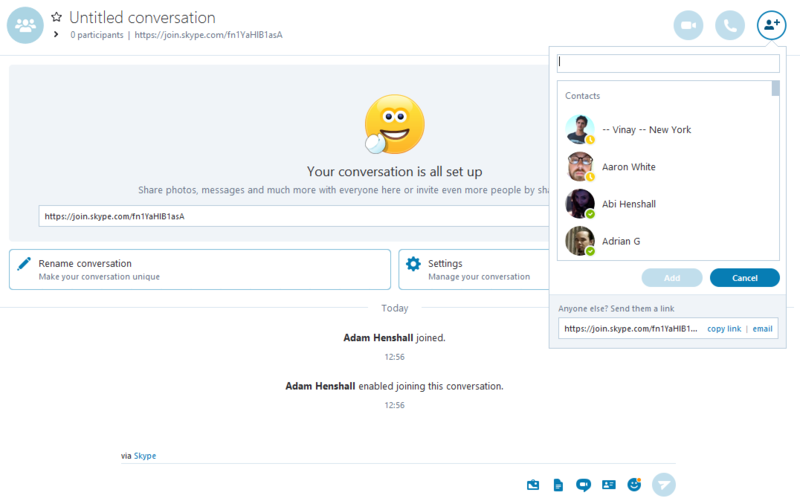 I was thinking of Hang Outs – they probably have it but don’t use it or maybe Skype (personal version for them, Skype for business for us) but in my initial tests it seems fiddly to set up from their end. We’ve also dabbled with Slack in the past which I really liked but again, our blue collar staff aren’t likely to have it already. The key features then are mega ease of setup (or none at all) from the staff perspective, support for IM or Voice or Video and ideally we want some way to schedule these – So a bit like Hangouts used to be – Dear staff, we’re having a Hangout type thingy this Friday at 11:00, come join us and chat to your managers. I think you’ve covered the good options there. Skype for business activities internally. Google calendar for any informal-feel scheduling. Whatsapp for communicating with your drivers. It can feel a bit clunky to use multiple tools but if everyone already has these tools and is used to using them, I think this overcomes much of the friction. For you, using Whatsapp Web to send messages to your drivers could be useful. This way you can keep in touch and organize things without jumping from desktop to phone and back again. You could also check out the Whatsapp business API, if you’re able to put a little development time into the project. I agree with your initial efforts of trying Slack – I love Slack – but if that came to a dead end in the past with the key section of staff you want to communicate with, then I understand why you’d be moving away from it. If you look into the full range of features for Whatsapp, I think you should be able to find something which works well for that particular use case. Another option might be Workplace by Facebook. Your staff won’t have it on their phones already, but the UX and UI is essentially identical to Facebook so they would probably feel at ease with it. It’s much easier to pick tech tools for tech people, but Workplace comes with the benefit of the years of Facebook training your staff have already put in in their own time! Let me know how your tests go and what you found worked for you! I’d be very interested to hear how you overcame the problem. Wire’s main advantage: They use E2E encryption for everything. It seems Zoom also optionally offers E2E encryption. Are there any more, that support it?